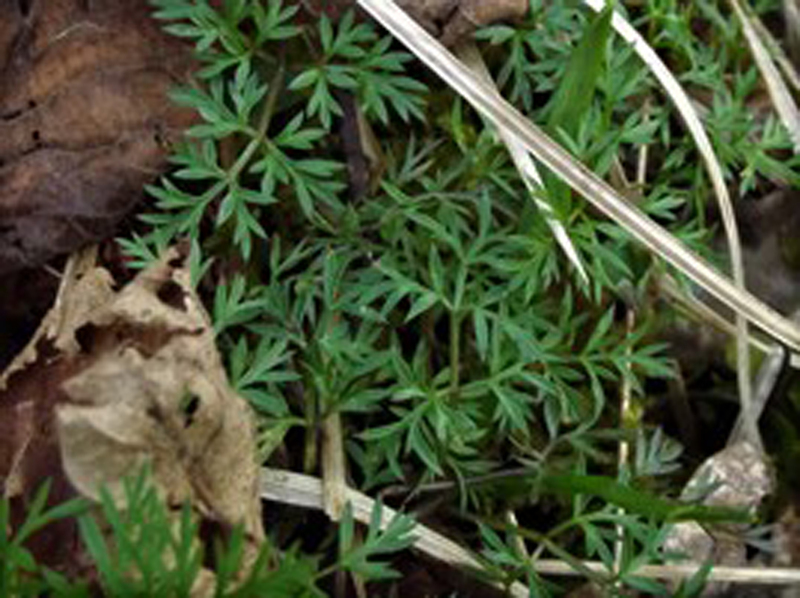 This pignut was very close to the surface, most of them are not. 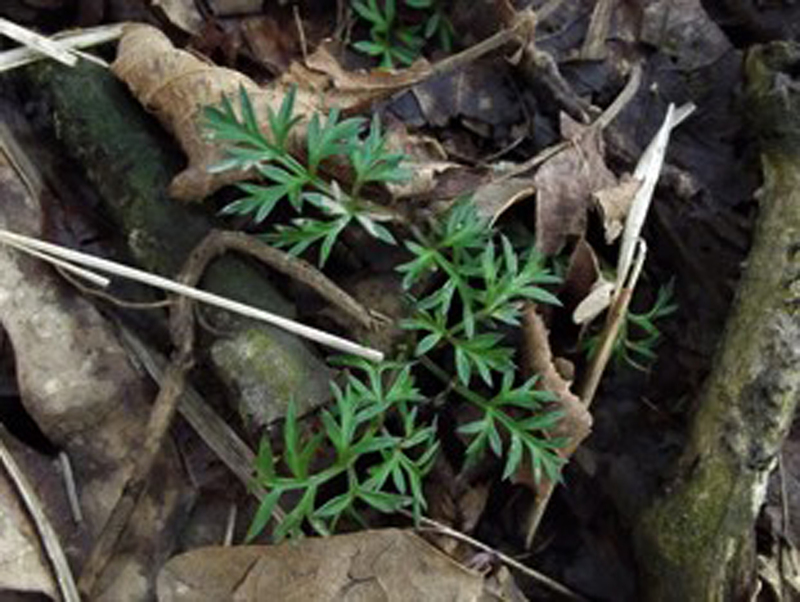 Common and a great find but often hard to spot due to their size. 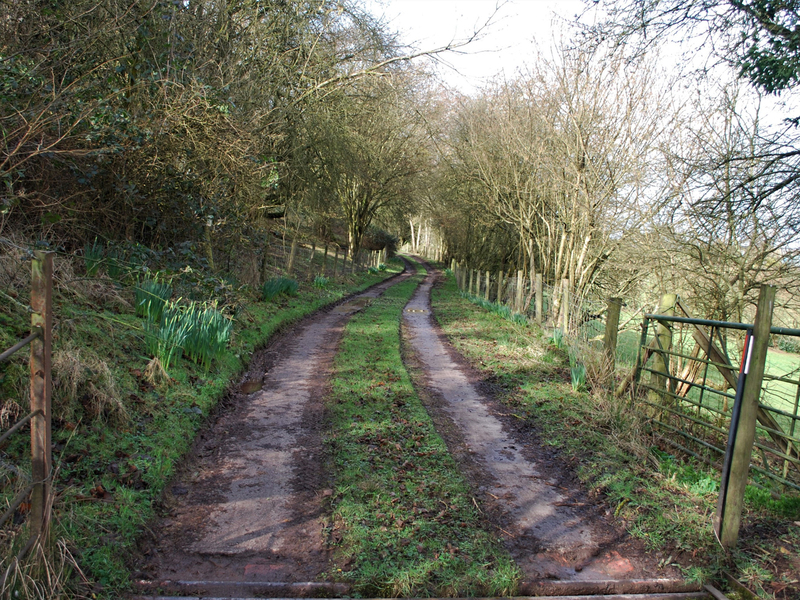 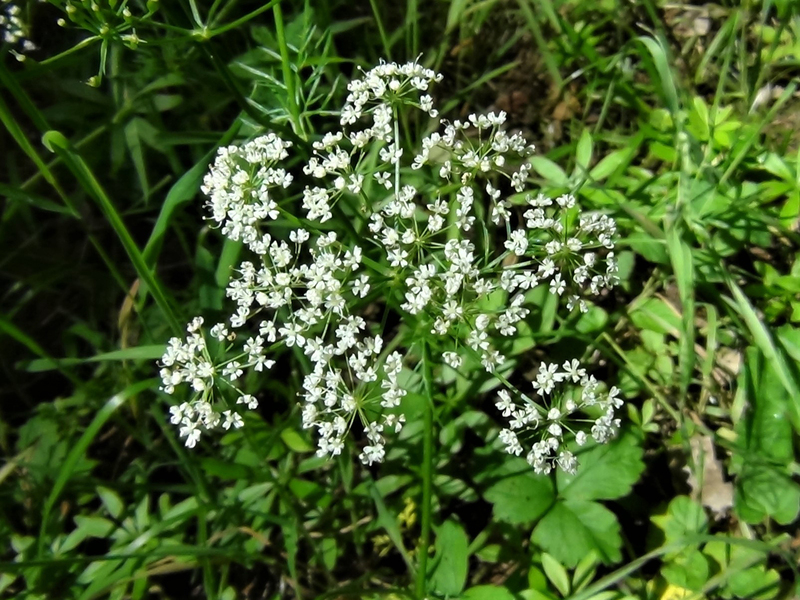 You must be on private land with the owners permission to dig up pignuts. 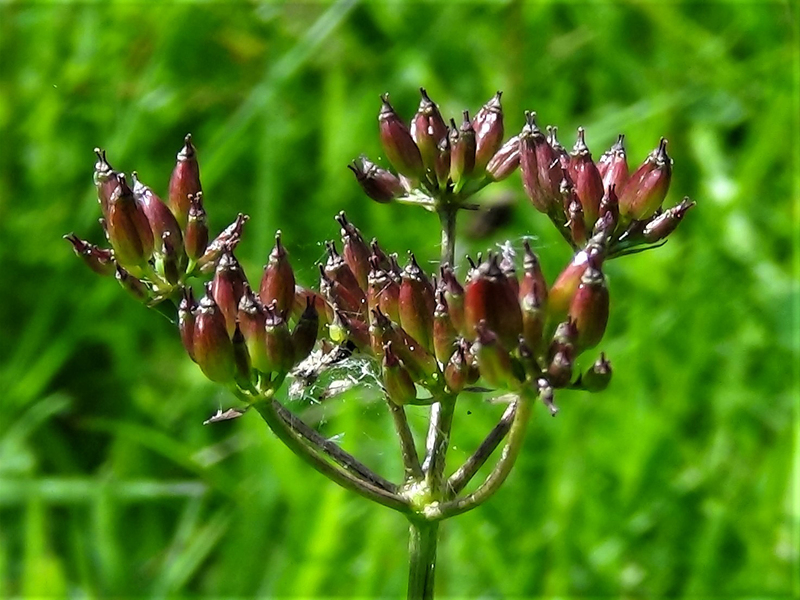 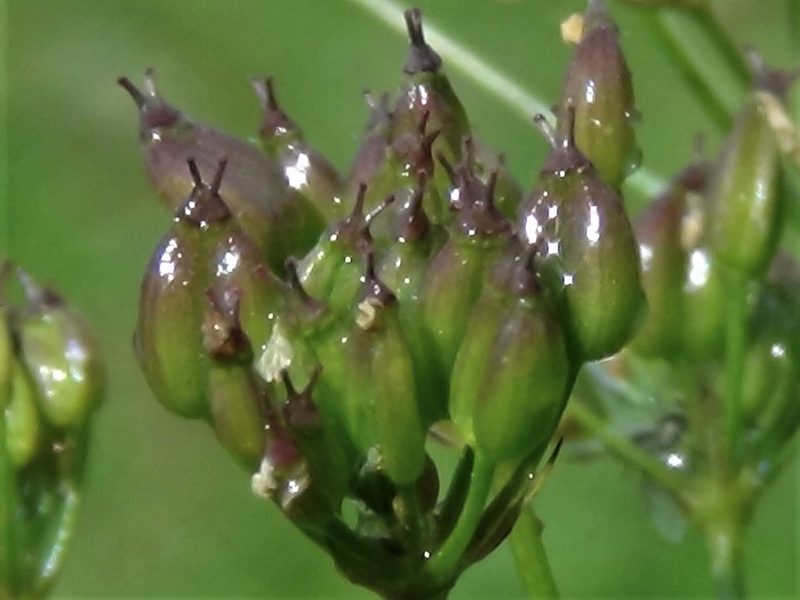 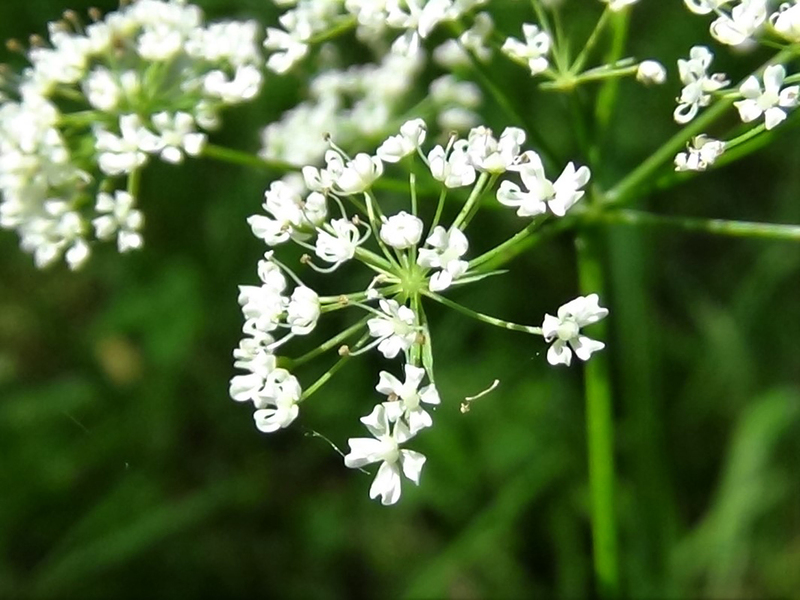 Pignuts take a few years to grow and produce a tuber so they should only be picked when found in profusion and many should be left behind for the following years. 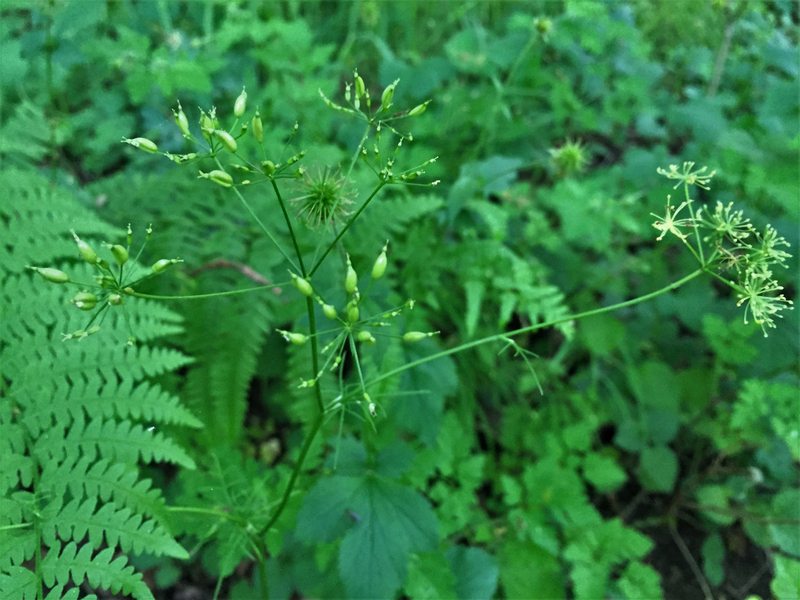 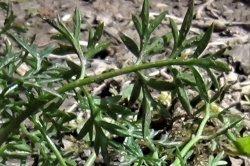 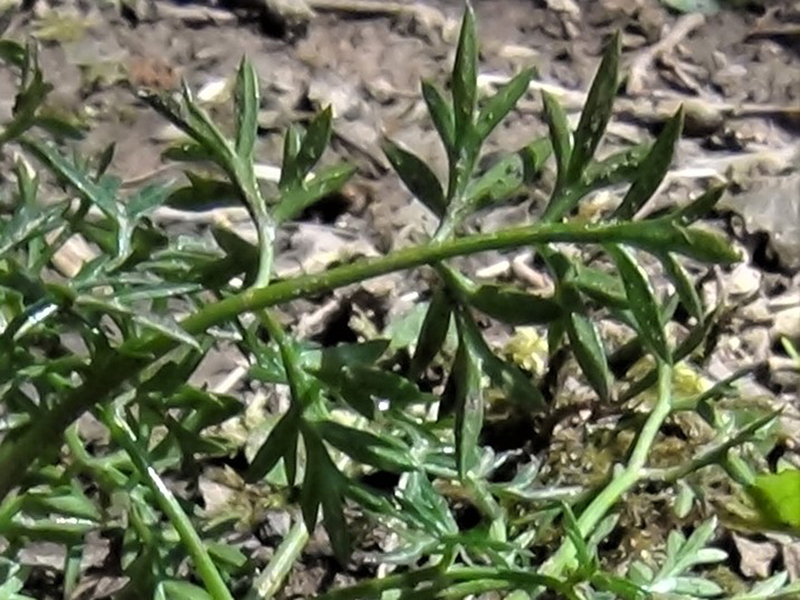 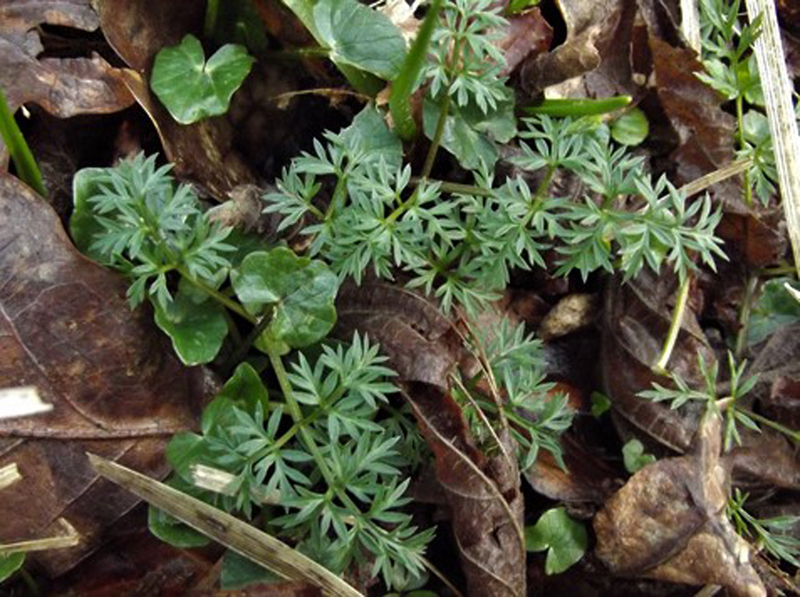 Has delicate, fine, green carrot like leaves. 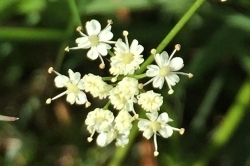 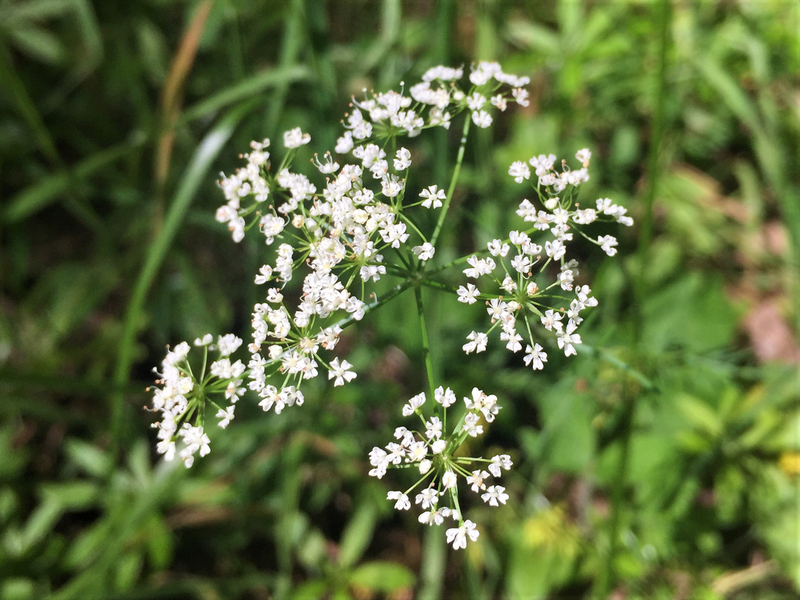 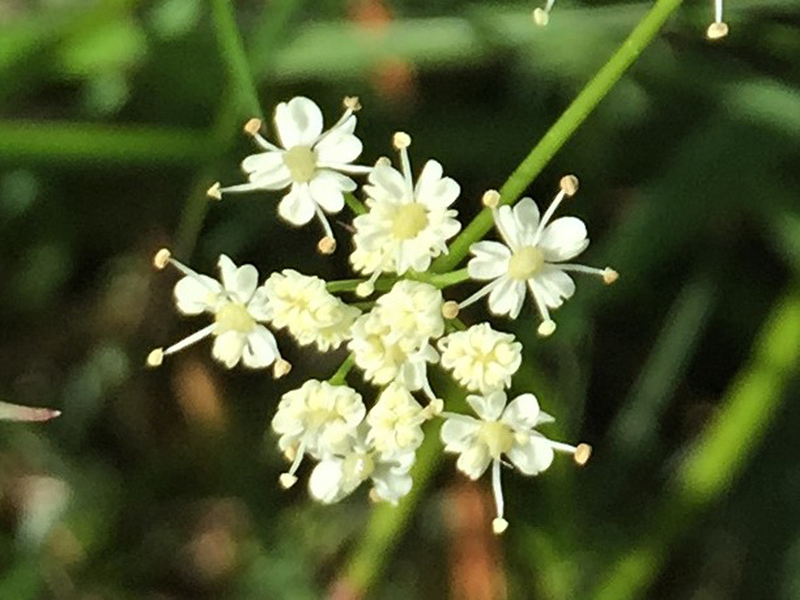 Small, delicate umbels of white flowers (umbrella like clusters). 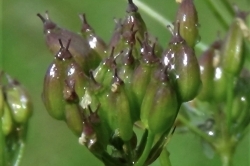 Small, green, oval seeds sometimes with a red flush. 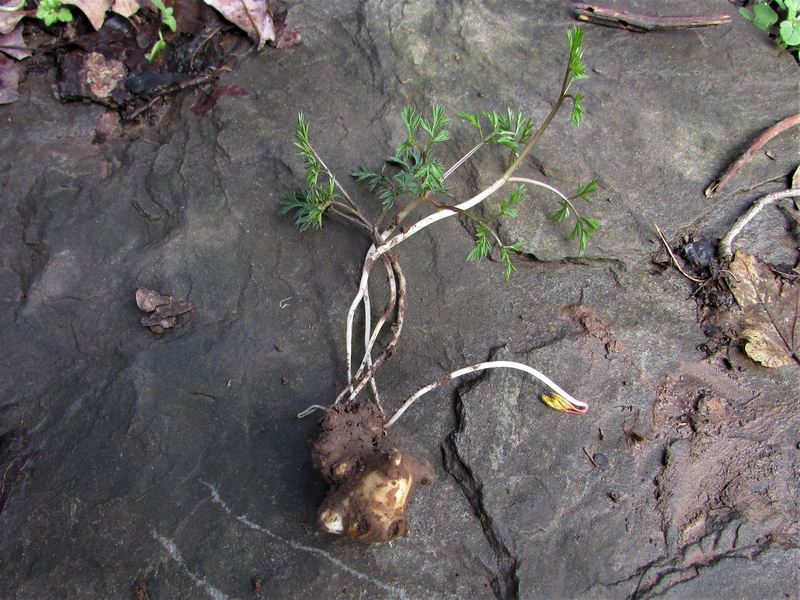 It has a thin, tapering root which if successfully followed to the end will provide the swollen tuber or pig nut. 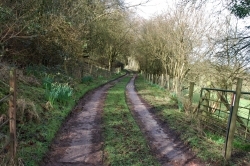 Mixed woodland, hedge banks and field edges and meadows. 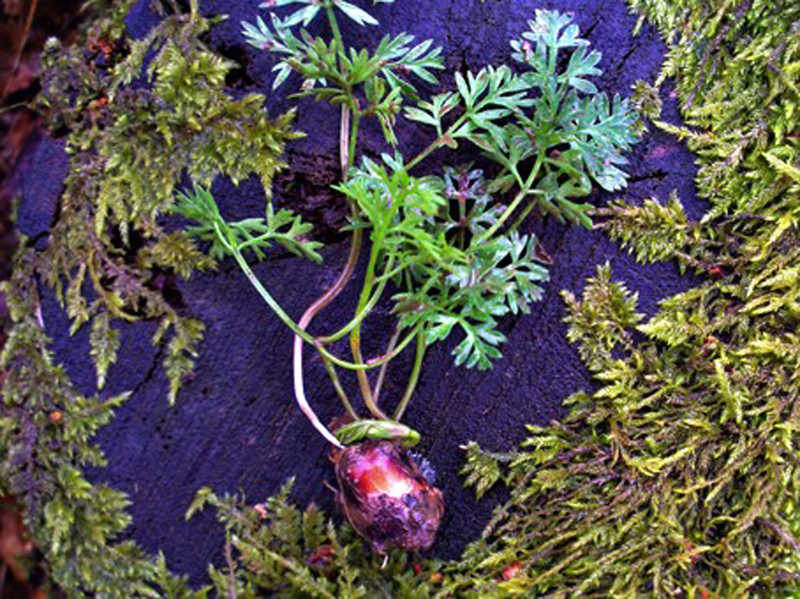 Looking a bit like a small carrot can be ruled out by finding the nut like tuber underground. 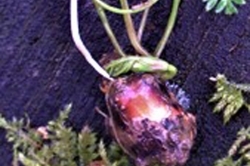 The tuber must be joined to the root to rule out confusion with other poisonous species like bluebell or snowdrop bulbs. 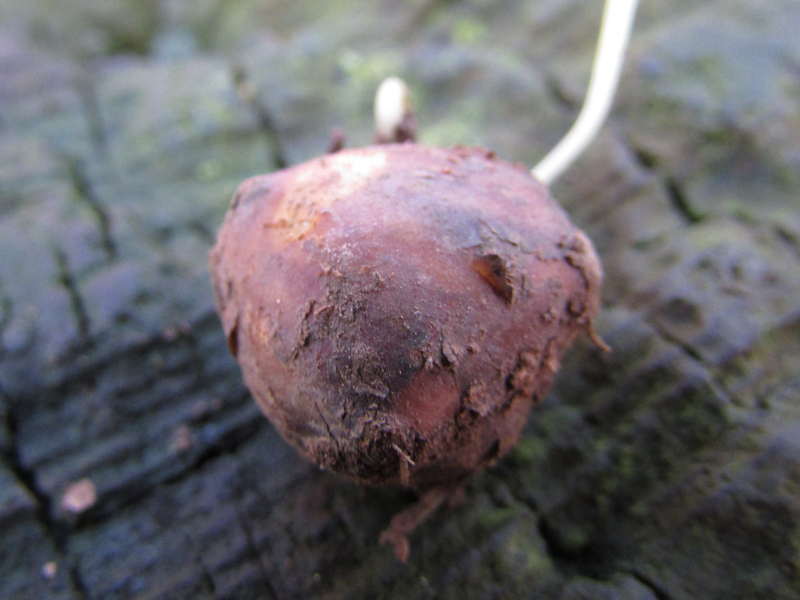 The ‘nut’ itself tastes a little like a sweet chestnut or hazelnut crossed with a radish but sometimes the taste can be quite mild. 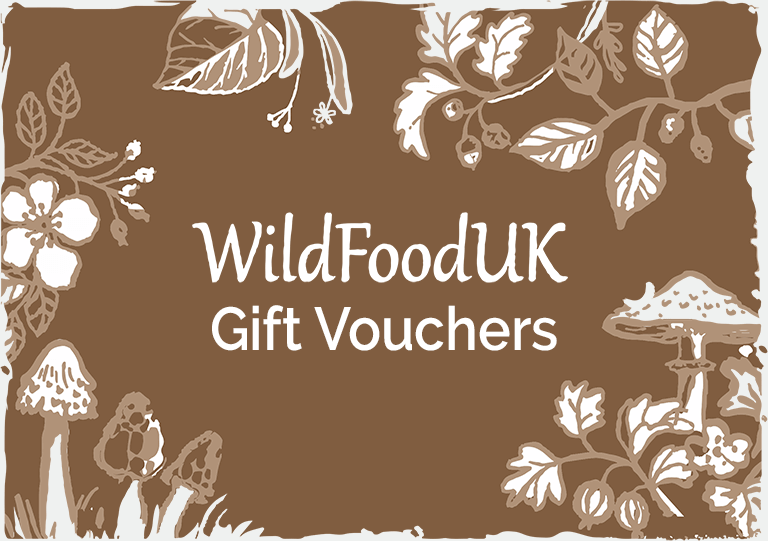 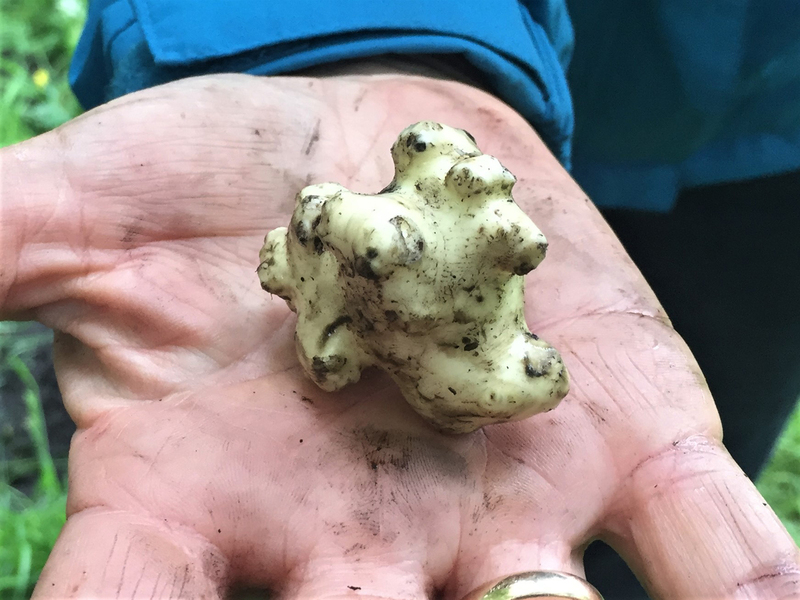 It is the root you are after so permission from the land owner is needed before collecting this foraged delicacy. 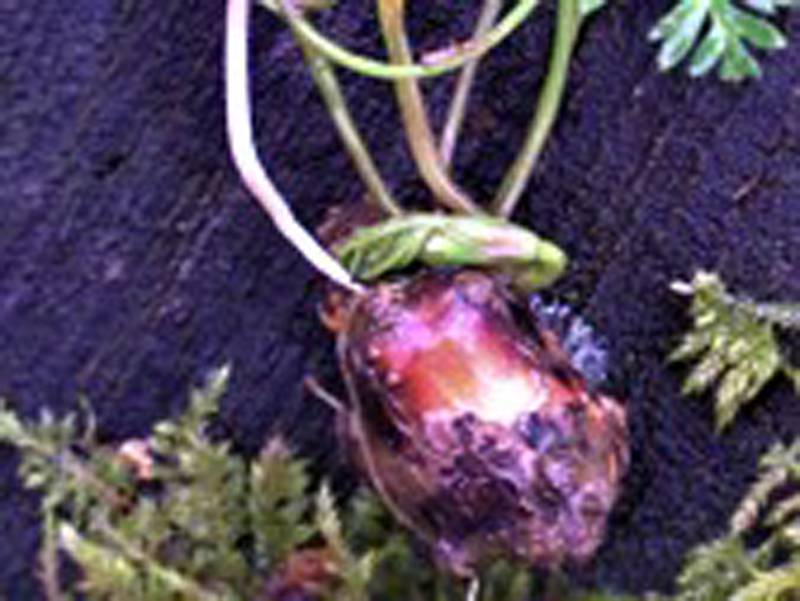 The root must be carefully followed to find the nut at the end, it has a habit of bending 90 degrees before the nut and snaps off very easily causing you to widen your search. 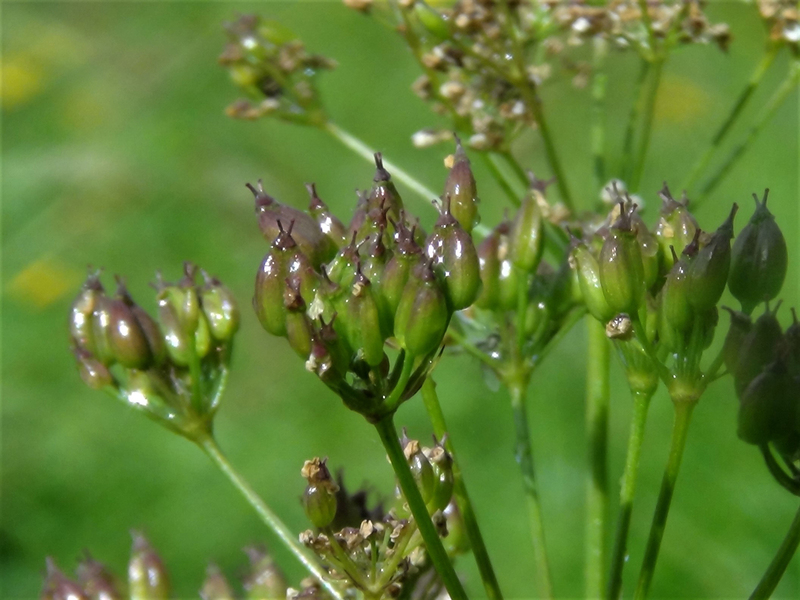 A fork could be used to harvest many nuts at a time but great care must be taken not to confuse the tuber with any other like the poisonous bluebell or lesser celendine tubers, which shouldn’t be eaten raw. 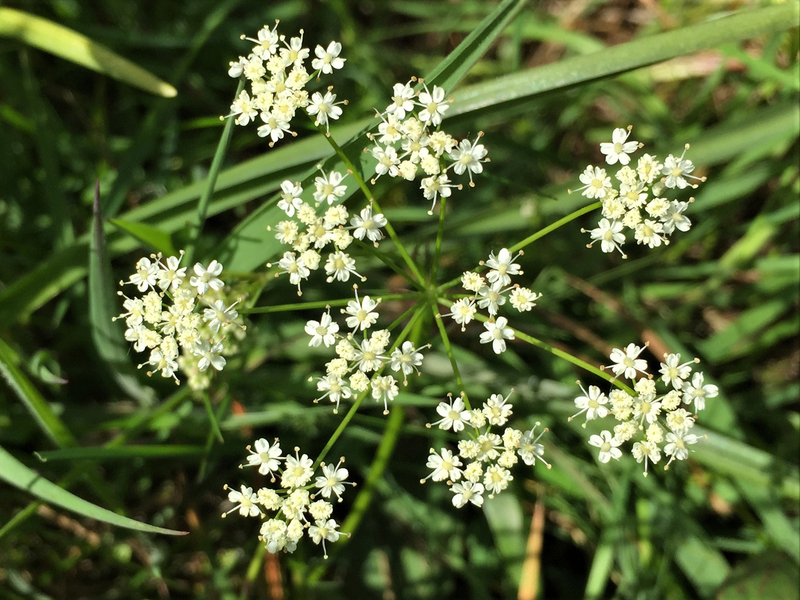 Pignuts take a few years to grow and produce a tuber so they should only be picked when found in profusion and many should be left behind for the following years. 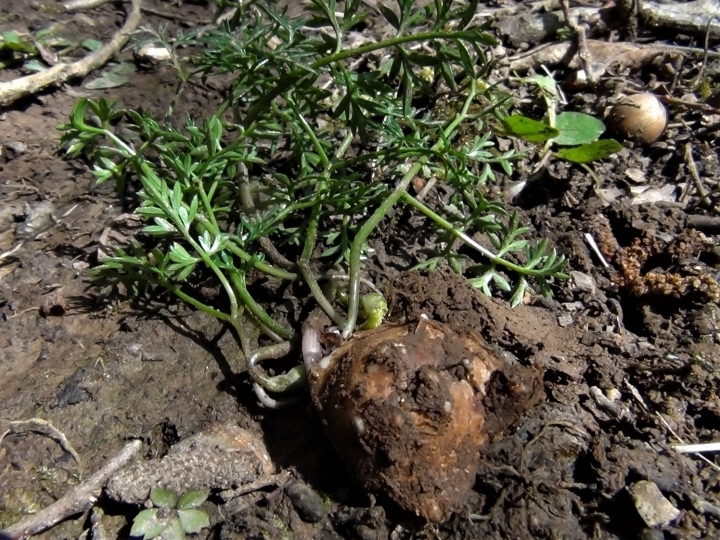 Finding Pig Nuts is a good sign that the soil has been left alone for many years.